When she left her local church ministry Kay created "DaySpring - a source of creative expression and renewal of spirit", as a conduit to work with an increasingly larger circle of community. Through her labyrinth work, she uses her experience as musician, minister, teacher and spiritual accompanist with groups and individuals from diverse arenas of life, inviting them to discover the possibilities of the labyrinth to experience a reconnection with the sacredness of life, to find language for their setting. Kay's work helps others find ways for renewal of mind, body, spirit and creative energy, through retreats, workshops and sacred events. She looks for ways to encourage others to trust and value their own voice and vision of the journey. She is a guest presenter and retreat leader on the Celtic saints and story, has led pilgrimages to Iona and other sites, and offers workshops and worship experiences utilizing the resources of Iona, Taize and global music. Kay believes the ancient archetype of the labyrinth serves as a strong source of presence for today's world, in meditation, reconciliation, peace-making, for young and old, for cross-cultures, creativity and healing, for community and personal use. Kay holds a BS from Mississippi State University, MA from University of South Florida, EdD from University of Alabama and Mdiv from Candler School of Theology, Emory University. Her published works include a set of her musical compositions - Songs for the Journey, with texts by Rev. Joe Elmore and artwork by Dan Rountree; a piano CD, The Joy of Two, with pianist Karen Krekelberg; along with other miscellaneous creations. Her book Seasons of Change is a memoir of her Jubilee (50th) year's transition into pastoral ministry while living in the Midlands of England. She is a contributor of a labyrinth chapter to the recently published book Sacred Habits: the Rise of the Creative Clergy, Chad R. Abbott, Editor. It was at Silver Bay on Lake George that Betty was first introduced to the labyrinth, an ancient walking meditation tool found in cultures around the world. This profound experience led to a deepening interest which soon became a passion. 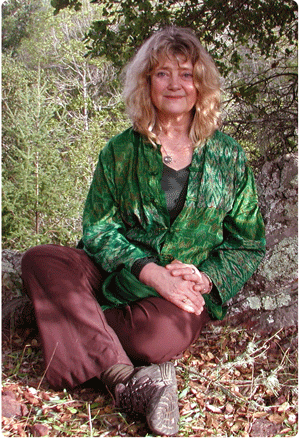 She was trained as a labyrinth facilitator by Lauren Artress in 2001 and has helped to build the outdoor labyrinth at Silver Bay Conference Center on Lake George, has painted canvas labyrinths with various communities and has carried her own painted canvas labyrinth into New York City Schools, Colleges, Medical Schools, Churches and Synagogues. She has continued her study of the labyrinth with Lauren Artress at Chartres Cathedral, the site of the original eleven circuit labyrinth and is now an Advanced Labyrinth Facilitator and member of the Veriditas Faculty. Betty got started in education through an interest in finding the best school for her children in New York City. After her active engagement in their school, the then founder/director and Mac Arther Award winner Debra Meier asked Betty to join the staff. 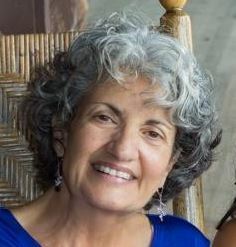 Betty's passion for supporting children and their families and working with staff led to her becoming a teacher, winning the 1995 Bank Street College, "Teacher of the Year Award". After 20 years of teaching and out of the classroom support roles, Betty was inspired to pursue an administrative position through her own experience on the labyrinth, which led to her starting a New York City Public School. As the principal and founder, an important part of building this new progressive public school was to support adults and children in mind, body and spirit by incorporating the labyrinth in its development. Educators, Administrators and School Support Teams who attended these labyrinth walks came to know how valuable and effective the labyrinth is for our own personal and spiritual growth and as an effective ongoing practice within schools. Frequent Labyrinth walks can assist our schools in creating wonderfully deep and solid learning communities, that assist us in all of the many ways of supporting and working with children, parents and staff. It is an exciting time to consider how to inspire, support and grow schools that work in the important area of spiritual growth, as part of teaching and nourishing the whole child. 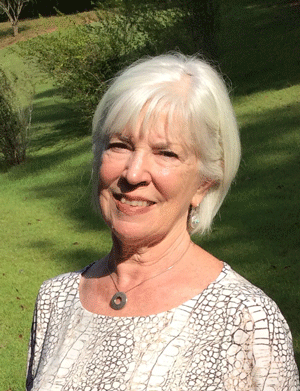 Betty looks forward to offering Qualifying Workshops as she leads educators and members of varied communities into a deeper experience of being with one another through the use of the labyrinth. As a life long seeker, Betty is also an active member of the diverse and inclusive Spiritual Life Team at Silver Bay Conference Center on Lake George in New York. She is a trained Spiritual Advisor and Reiki Master and is responsible for the Labyrinth programs, which are offered to conferences and retreats, including large and small groups of ministers, educators, business organizations and those seeking respite here at Silver Bay. 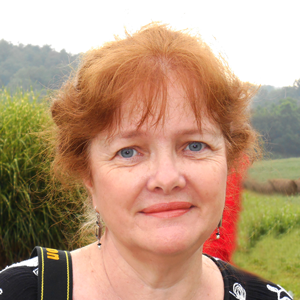 As a Veriditas Faculty member, Betty also designs and offers Qualifying Workshops and Labyrinth Facilitator Training. Kayleen Asbo is a cultural historian, musician, writer and teacher who weaves together myth, history, and the arts with experiential learning. Kayleen has been on the faculty of Sonoma State University (where she teaches Introduction to Art Therapy in the Psychology department), Dominican University (where she lectures on Cultural History for the Osher Life Long Learning Institute) and the San Francisco Conservatory of Music (where she has taught courses on music and developmental psychology for 13 years). 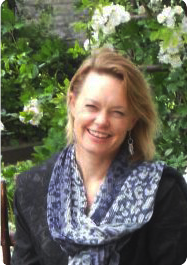 Kayleen holds master's degrees in both music and psychology, and has a doctoral degree in Mythological Studies with an emphasis in Depth Psychology from Pacifica Graduate Institute. Kayleen has been a guest presenter and lecturer on the intersection of spirituality, psychology and the arts at the Oxford Round Table, Chartres Cathedral, Grace Cathedral, the Graduate Theological Union in Berkeley, the Institute for Transpersonal Psychology, the Numina Center and churches and colleges throughout the Bay Area. 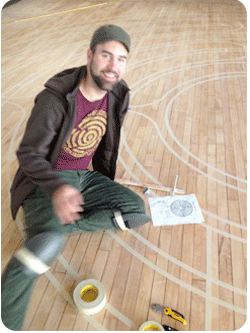 Kayleen's classes and workshops have repeatedly been lauded by students as "life changing", "transformational", "passionate" "inspiring", "fascinating" and "the best I have ever taken"
Lars is available for Labyrinth Construction consultations. To book a time to discuss your labyrinth construction project with Lars, please complete this form.